Sergeant Major of the Army Dan Dailey wants to bring back the iconic Eisenhower jacket, and he needs your help. 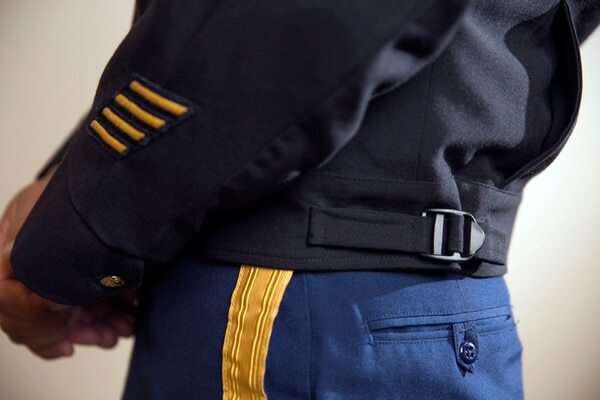 In a new survey to the force, Dailey wants to hear if soldiers like the idea of the waist-length jacket made popular by Gen. Dwight Eisenhower during World War II. The proposed jacket would "add one layer of etiquette" for soldiers who may need to go from the Class Bs to a more formal appearance without transitioning to the full Army Service Uniform jacket, Dailey said. "I like it from a historical standpoint, history and honor," Dailey said. "Eisenhower introduced the khaki version, and even though we're in the blues today, it ties back to it." In addition to the Eisenhower jacket, the survey being sent to the force also will seek soldier feedback on several other uniform changes, including gender-neutral head gear and black socks with the new PT uniform. "We want to make sure soldiers get a chance to express their opinion," Dailey said. "It was very important to the [Army chief of staff] and myself for soldiers to know we're listening to them." The survey will go out to soldiers' military email addresses in batches beginning this week, and it will likely be up for at least two weeks, or until a large enough portion of the force has responded, Dailey said. Even though Dailey has said he is "not going to be the uniform Sergeant Major," he is pushing these potential changes to uniform items and wear in response to soldier feedback. "I think we need an era of stabilization," Dailey has said, even as the Army rolls out a new PT uniform and a new camouflage pattern for the Army Combat Uniform. However, Dailey also is looking at how these changes also could boost morale across the force. "If you can raise motivation by fixing things that don't really have a negative effect on the standards and discipline of the Army, why not?" Dailey said. The original "Eisenhower" or "Ike jacket" was patterned after the British battle jacket. This new version, which already has a prototype, is a wind-proof blue jacket meant to be worn in a workplace setting. In the survey, soldiers will be asked: "Should the Eisenhower jacket be adopted as an optional wear item, for males and females, in addition to the black windbreaker?" 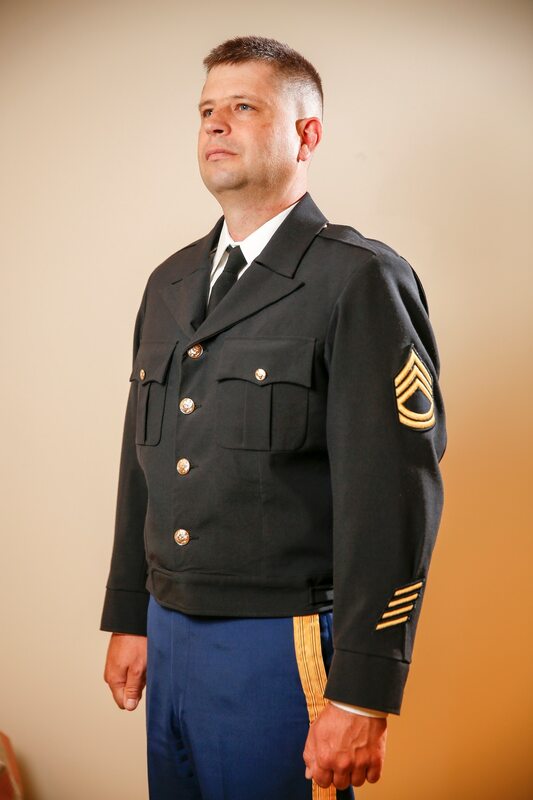 When the Army got rid of its green Class A uniforms, "we got rid of a layer of etiquette," Dailey explained. The Class Bs are meant to be the Army's day-to-day business uniform, while the Army Service Uniform is considered formal dinner wear, he said. The phasing out of the Class A green uniform meant there was no longer an in-between uniform. SFC Matthew MacRoberts models a prototype of the revamped Eisenhower jacket at the Pentagon in Arlington, VA, on Thursday, July 16, 2015. The Eisenhower jacket is meant to be worn in the workplace "in lieu of the black windbreaker." The Eisenhower jacket is meant to be worn in the workplace "in lieu of the black windbreaker," said Command Sgt. Maj. David Davenport, the senior enlisted soldier for Training and Doctrine Command, which is administering the soldier survey. "When you think about enhancing professionalism in the workplace, I think this jacket does that," he said. "More importantly, it ties us to the history of our institution." If the jacket is approved, it would be an optional item just like the black sweater, black windbreaker and blue mess uniforms, Dailey said. "It's critical that this would not be an issue item," Dailey said. "We can't afford to add any money to the clothing bag right now." If soldiers like the Eisenhower jacket, it will have to go through the usual Army process for getting uniform items approved. "There's a long process this has to go through," Dailey said. Based on feedback from female drill sergeants, Army leaders want to know if soldiers support a single campaign hat for both male and female drill sergeants. 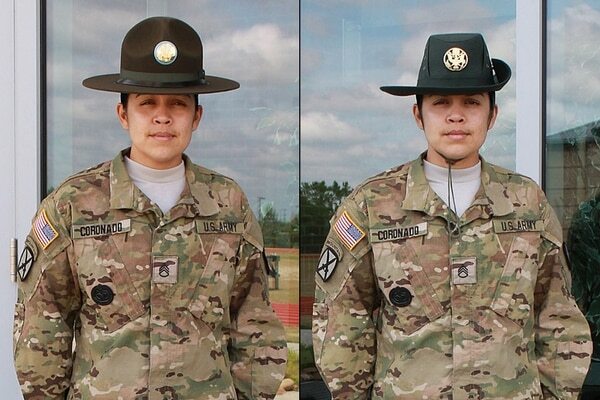 Male and female drill sergeants now have their own distinct hats. The Army is considering ditching the female drill sergeant hat. Women and men could both wear the same "Smokey" hat instead. 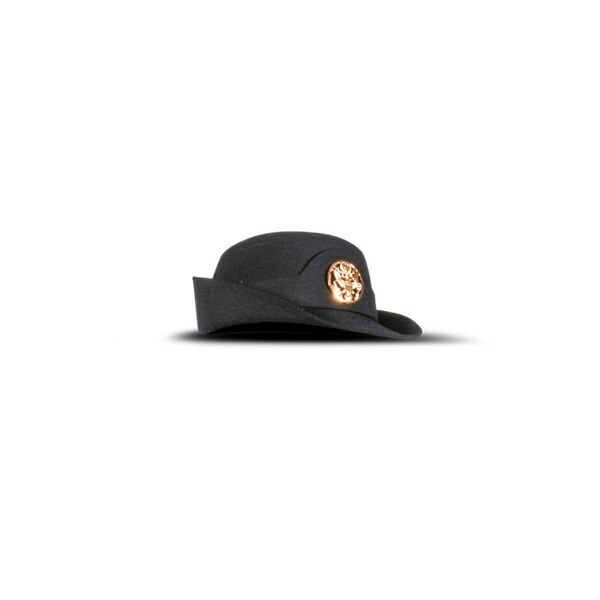 The female drill sergeant hat came into being in 1972. It was designed by Brig. Gen. Mildred Bailey, according to the Army. The original design was taken from the Australian bush hat and was beige in color. The hat color was changed to green in 1983. Female drill instructors in the Marine Corps have been wearing the previously male-only "Smokey" field hat since 1996, according to the Corps. 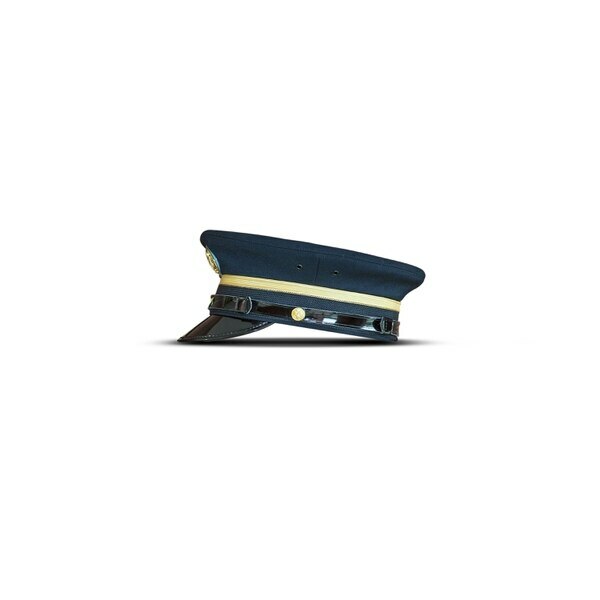 Also known as "the bus driver cap," the Army wants to know if there should be a single cap for both male and female soldiers to wear with the Army Service Uniform. This question also stems from feedback that senior enlisted leaders, including Dailey and Davenport, have received from female soldiers. Should the "bus driver cap" be worn by both men and women? A majority of soldiers surveyed believe so. The Navy and Marine Corps have been experimenting with gender-neutral uniforms for some time. In May, Navy Secretary Ray Mabus said that for the first time ever, female midshipmen attending graduation that month will wear collared dress coats, including those receiving Navy and Marine Corps commissions. The changes are important to cohesion and morale, Mabus said, but while the coats are designed to have a similar appearance, the services will not simply issue standard male coats to females. Rather, the female coats lack breast and hip pockets and are tailored to better fit their bodies. The Corps began testing an improved prototype late last summer, and a decision is expected as early as this summer. A decision has already been finalized for female Marines to wear a common cover, or hat, that appears similar to previous male covers, but their wear is not mandatory until May 2017. 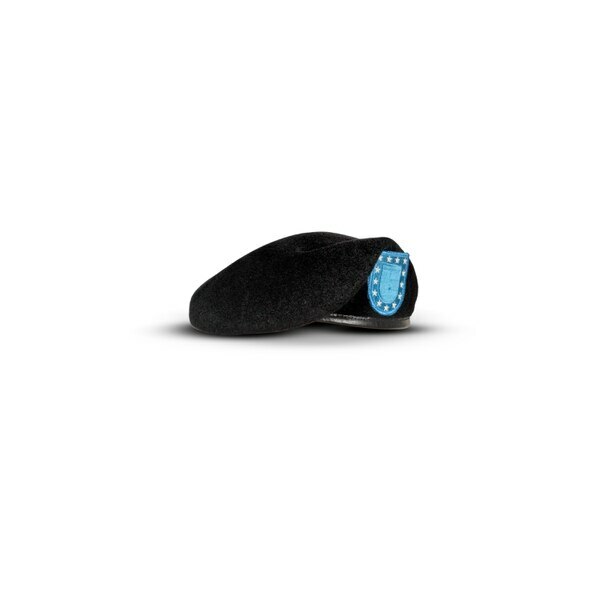 Army leaders want to know if the blue service cap should be the required headgear for senior noncommissioned officers and higher while wearing the Army Service Uniform. This change, if soldiers like it, would affect sergeants first class through sergeants major, warrant officers and officers. AR 670-1 currently calls for the service cap to be optional for corporals and above. The beret is the primary headgear worn with the service uniform by all soldiers unless directed by the commander, according to the regulation. Senior NCOs could no longer wear the maligned Army black beret. Just like junior enlisted soldiers in their ASUs wear blue trousers while sergeants wear blue trousers with a gold braid, switching to the service cap marks a transition in a soldier's career, Davenport said. "When you look at the professional, the senior noncommissioned officer, how do you mark that transition?" Davenport said. "That's a pretty big jump. We're going to recognize that level of professionalism, where you've gone from the apprentice to the journeyman, and now you're the expert." The survey also will ask soldiers if they should be allowed to wear black socks with the new Army Physical Fitness Uniform, which is black. The idea for black socks came up at several town hall meetings Dailey conducted with soldiers. It's a topic Dailey himself brought up, based on soldier feedback he had received, during a June 4 town hall meeting at Fort Meade, Maryland. Most of the 100-plus soldiers there liked the idea. The sock question is included in the survey to "make sure this is the majority and not just a small contingent" of soldiers who like the idea, Dailey said. Socks worn during PT should be calf- or ankle-length and plain white with no logos, according to the current Army Regulation 670-1. The socks also must cover the entire ankle bone. Black socks could be given the OK for wear with the Army Physical Fitness Uniform.